Those who are qualified Computer Programmers and Interactive Media Developers, and interested in Canada Immigration, are advised to kick-start the immigration and visa process NOW! The reason: at the present job-prospects for such experts are bright in the country even as the Maple Leaf Country is more than eager to welcome these specialists to its shores and proffer them the prized and the much sought after Permanent Residency (PR) status. As per the Citizenship and Immigration Canada (CIC), 1000 correctly filled applications will be accepted for this hot occupation listed in the occupation list even as the aspirants can migrate to Canada under the Code 2174 as assigned by the NOC. 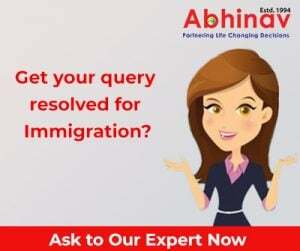 Trained aspirants can use the Skilled Migrant Worker Program route to grab a Skilled Worker Visa for Canada and fulfill their dream of settling in the country ‘Located in the North of the US’. The profession finds mention in the list of the 50 occupations which currently allows trained migrant to move to the country, on the basis of their professional skills. At the present, the nation is facing a serious scarcity of trained professionals in the domain even as to fill the job-openings in the profession; it requires qualified Computer Programmers and Interactive Media Developers in large numbers. Remarkably, the services of these experts are required in designing, publishing, manufacturing, financing, and in trading. Electronic games industry in Montreal needs the experts to fill many vacant places. As the industry is growing, the chances of future placements are also stand high in the future in other Canadian regions also. The entry to the Maple Leaf Country, via the skilled worker route, can be made under the Federal Skilled Worker Scheme, and this is based on the well-known point system. Points are assigned on the basis of education, job experience, age, adaptability, and language expertise. Canada Immigration-motivated skilled experts are required to fulfill certain duties which include modifying, testing, and integrating software codes. They are expected to look after the present computer programs along with modifying them wherever it is required. Their specialized services are also used for collecting the documents, as per the specific requirement of the users. They should be able to assist their team workers and should have leadership qualities. Interactive Media Developers’ expertise can be utilized for the object of animation software, cartridges of games, and other applications based on the internet. They must be capable of creating programs with special effects for video and film application. It is also vital that they are capable of researching new interactive software and assess the same. Computer Developer and Interactive Media Developers are expected to amalgamate micro computer with software applications. They are basically placed in the development firms, IT groups in public and private domains. According to some new surveys, many positions of the Computer Developers and Interactive Media Developers are unoccupied with the reason being a remarkable number of these professionals have been either promoted to senior positions and/or they have retired in the country. There’s yet another reason as to why aspirants having the necessary skills have a great future in the country. Canadian students, by and large, are not very interested in receiving degrees in computer program, and/or working as professionals in the field. And this leaves the doors of opportunity wide open for the overseas candidates. Migrants can look forward to earning handsome salary packages depending on the job description and the area selected by them. Ottawa expects jobs in these professions to undergo a large upsurge for not less than the coming many years. Employment openings are normally the outcome of brand fresh jobs being produced, as against the places being left vacant due to retirement, etc. Close-to 23% of the employees in these fields is outsiders. It’s decisively more than proportions for other professions, which average close-to 12%. The figure of the Canadian-born students gaining degrees in Computer Programming has dropped by over 50% during the previous 10 years or so, leaving the field wide open for the outsiders to fill vital positions. These experts work in different domains. While 40% are engaged in the computer systems design, 13% are involved with manufacturing, 9% with public administration, 7% with software publishing, 6% with trade and 5% with finance. Employees are particularly required in the electronic games industry; it’s facing speedy development & growth in Montreal and other top Canadian cities. The average wage of these experts in the state of Ontario is roughly $74,000. Presenting Petition for US Citizenship? What You Need To Know!